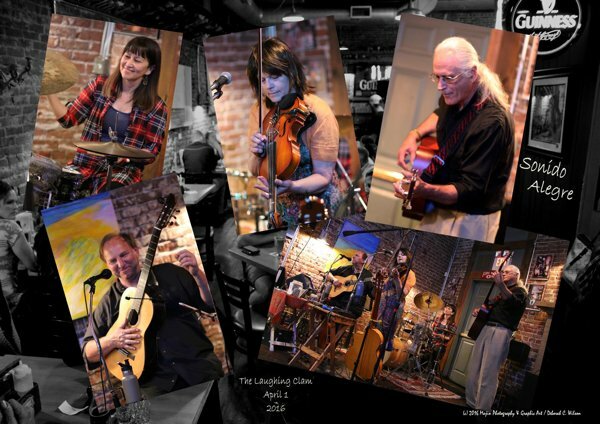 Sonido Alegre is: Theresa McCoy, Linda Powers, John Galloway, and Charles Guy. 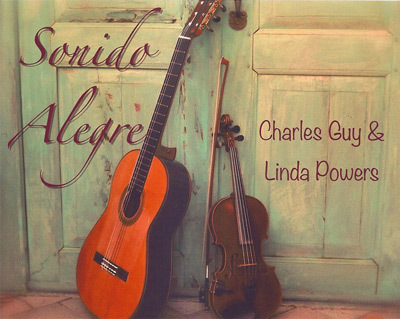 Announcing the Release of "Sonido Alegre,"
the All-New Original Album from Charles Guy & Linda Powers. Charles Guy grew up in North Carolina where he was exposed to bluegrass, soul, and Carolina beach music. This influence, plus his long time love of Spanish flamenco guitar and recent sojourns south of the border, have culminated in an eclectic sound, all his own. Here are new videos of Sonido Alegre live performances in Southern Oregon. Sonido Alegre are currently playing wineries, clubs, and other venues around the Rogue Valley as a duo, trio, or four-piece. Interested in upcoming show dates, new music releases, and other events? View the calendar to see what Charles has in the works. And be sure to listen to some preview tracks off Charles Guy's latest album, "Sakes Alive."